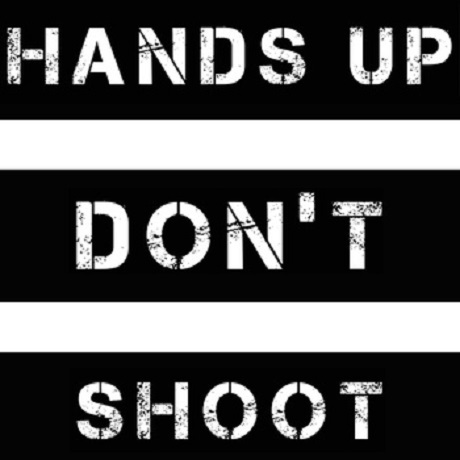 Anti-Flag "Hands Up Don't Shoot"
With the world watching the clashes between protestors and police in Ferguson, MO, Pittsburgh political punks Anti-Flag have added to the dialogue with a re-recorded version of their "Police Story," now titled "Hands Up Don't Shoot." Trimming the fat, the revamped version of the A New Kind of Army track skips out on the bass-driven intro to instead jump right into a narrative regarding the "racist boys in blue," police brutality and abuse of power. Speedily, the chorus launches into the "We've got no rights when cops can kill/it's not right we live in fear," a rallying cry that takes on new meaning in the wake of the shooting death of Michael Brown at the hands of a police officer. The track is available to purchase now via Anti-Flag's Bandcamp, with proceeds going to the Michael Brown Jr. Memorial Fund.